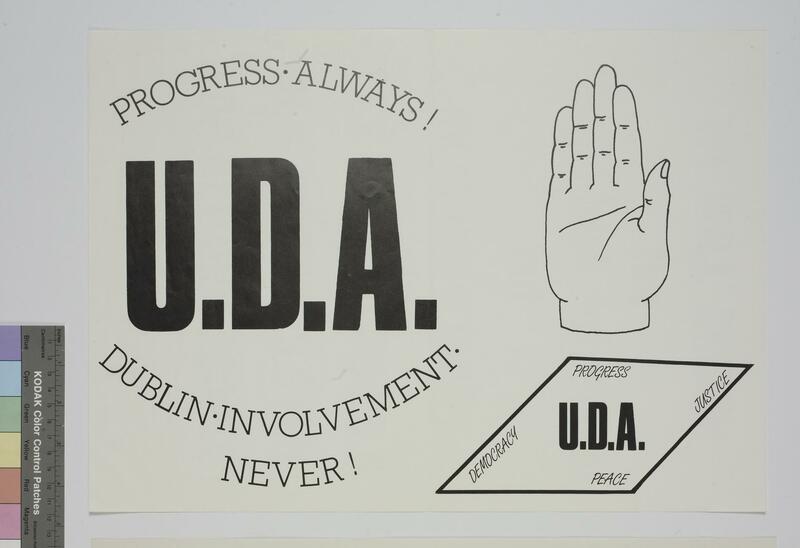 This UDA poster was one of a series produced by the organisation in the wake of the Anglo-Irish Agreement. Printed black on white and showing the right hand. 'Progress Always! Dublin Involvement Never.' The poster suggests that the organisation supports, democracy, progress, peace and justice.